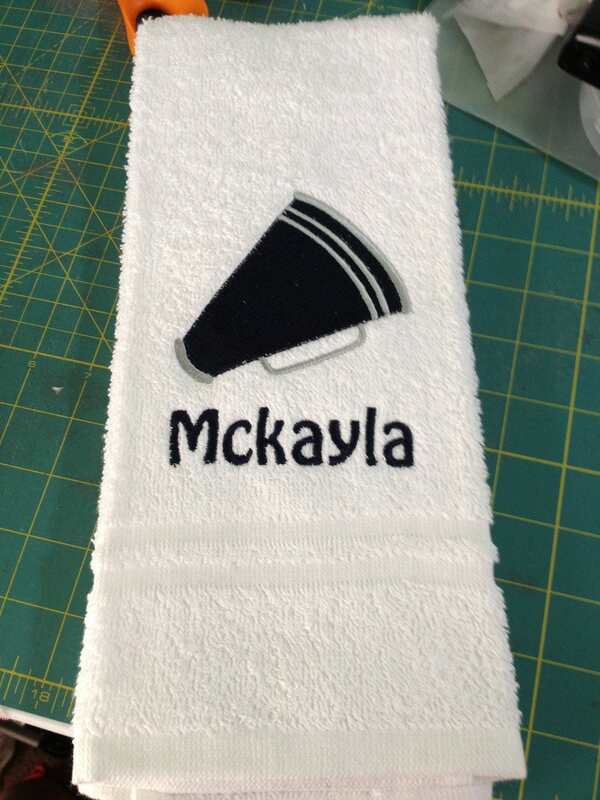 custom personalized chearleading towels made to order. 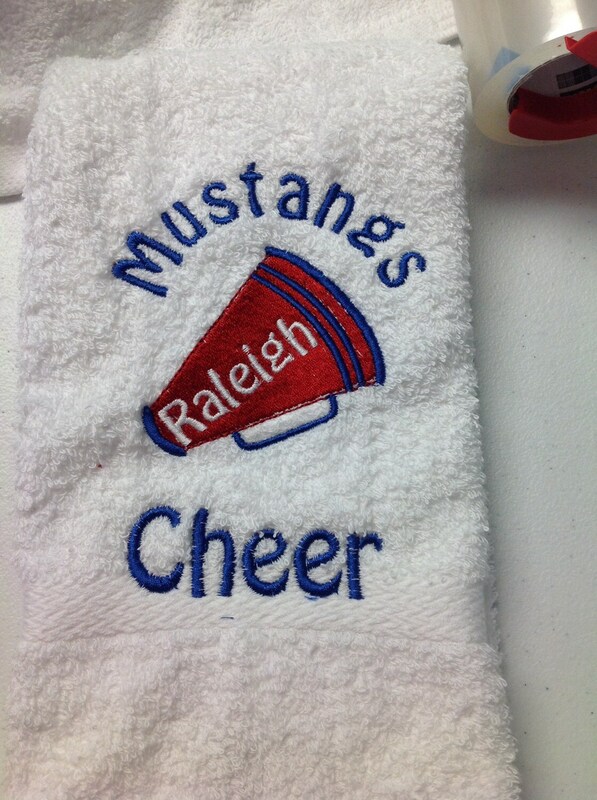 Custom personalized cheerleading towels made to order. 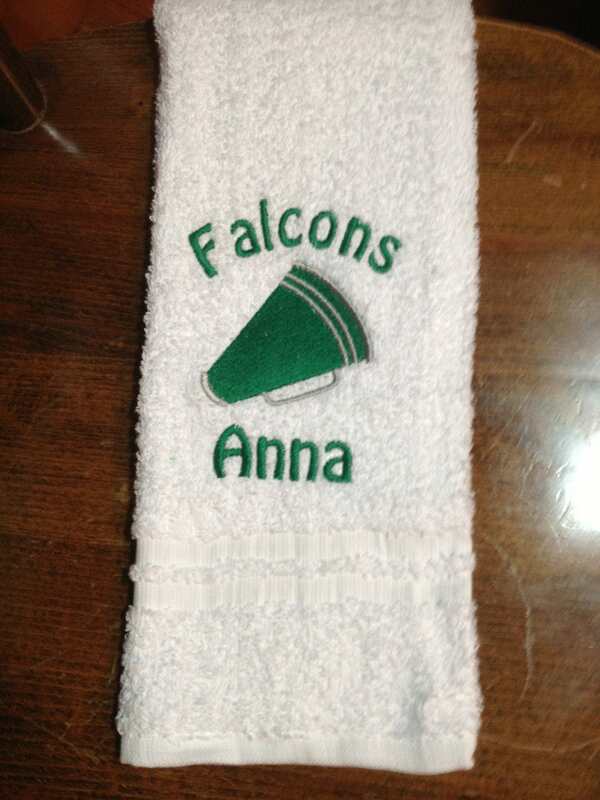 Cheerleading towels, personalized. 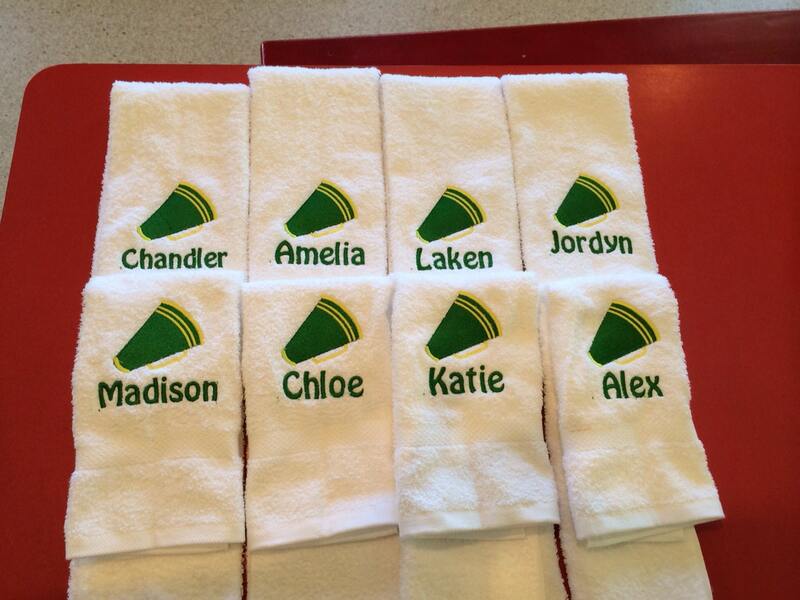 Custom embroidered personalized cheer towels are made to order. 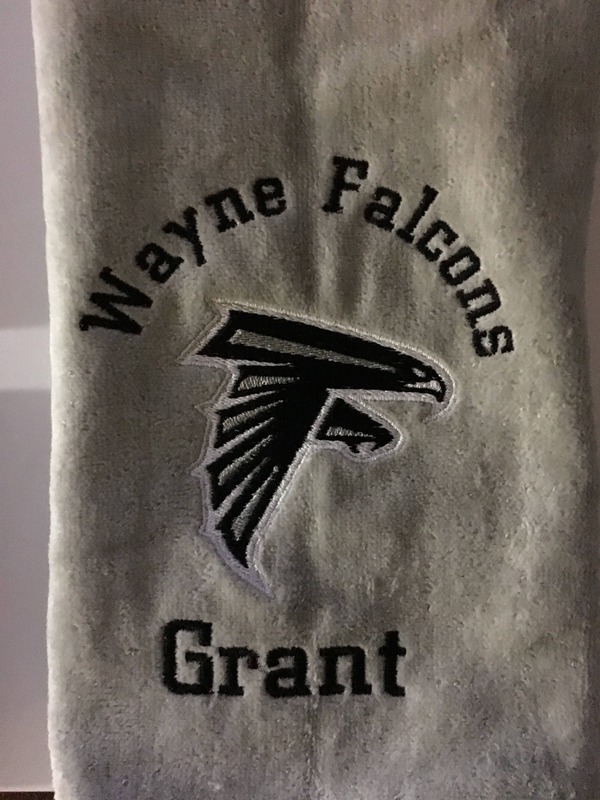 Towels are now terry velour and available in most colors. 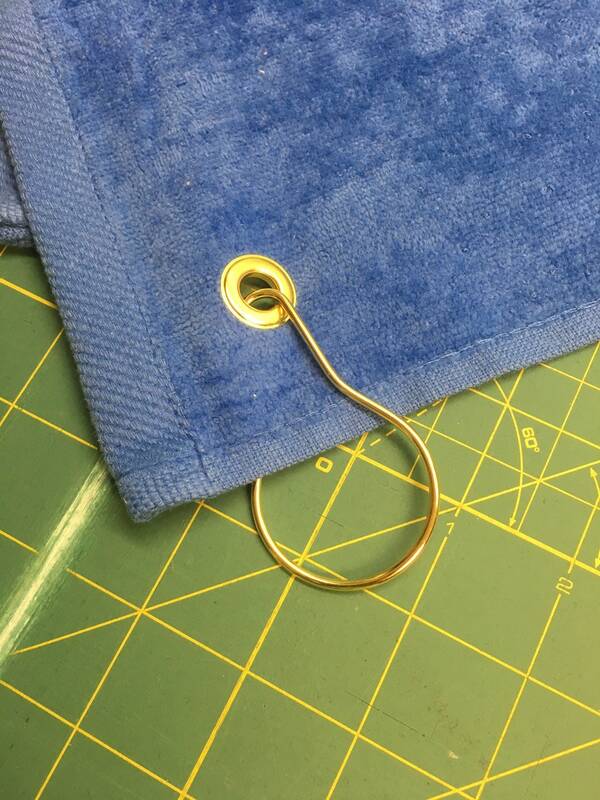 You list it and I'll stitch it. 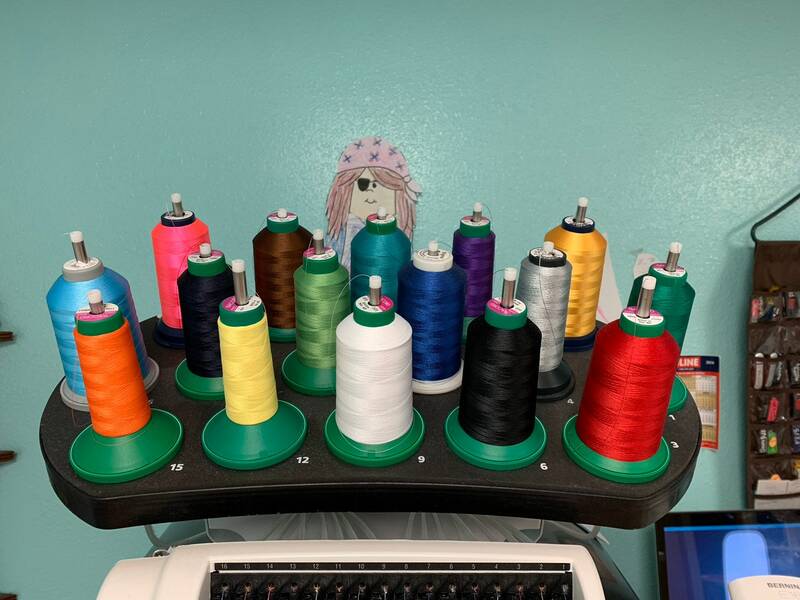 Turn around is 3 business days or less. 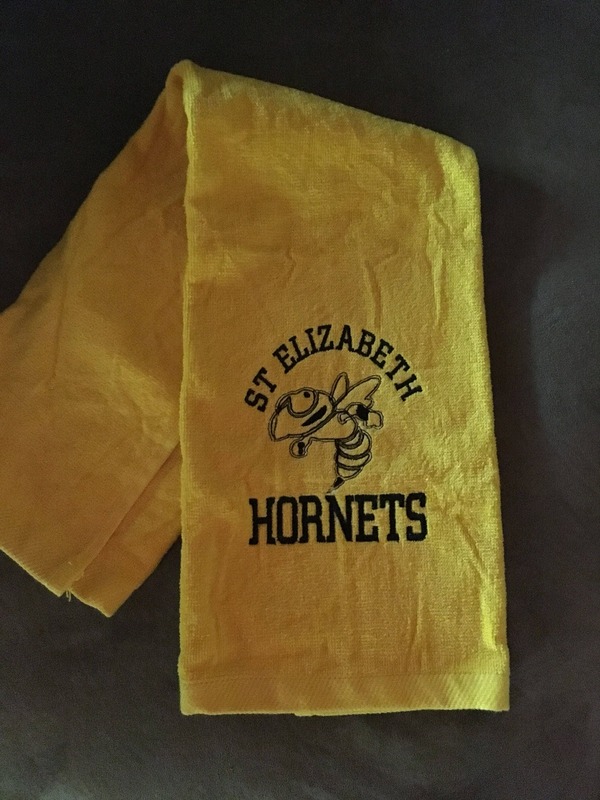 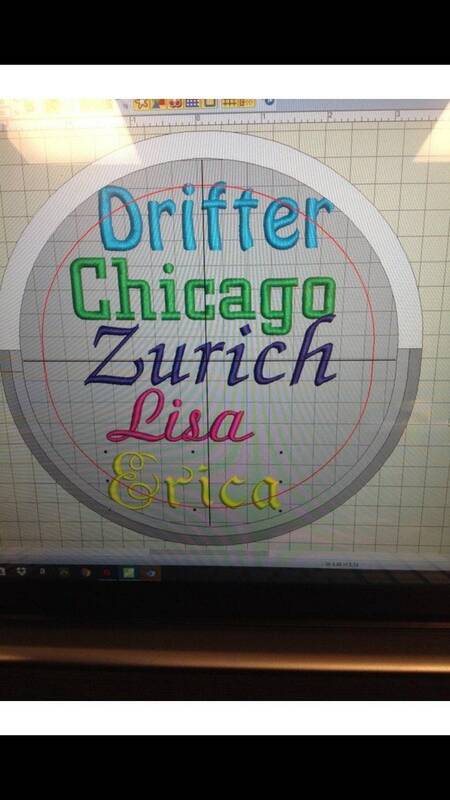 **Please list two thread colors for the megaphone and one color for the name, team and school.